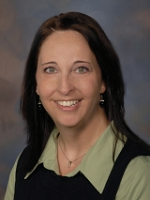 Debbie Durkee is the nurse practitioner with pediatric rheumatology at Primary Children’s Hospital. She has a passion for children and has been working in pediatrics at PCH since 1997. Initially she worked in the npatient behavioral health unit teaching behavior modification. After completing her RN she primarily worked in the rapid treatment unit. This is where she first met children who had been diagnosed with arthritis. During her time in the RTU she had the opportunity to care for and develop relationships with these amazing children and their families. Upon completing her NP, it was a natural and exciting transition into the rheumatology clinic. For the past 6 years she has been able to continue helping children with arthritis and other rheumatologic diseases. One of her focuses is to help children understand that arthritis is something they have, not something that defines them. Having been diagnosed with arthritis herself, she has gained a personal understanding and appreciation for the challenges of diagnosis, treatment, immunosuppression, and achieving optimal health. She thoroughly enjoys helping both children and their families overcome these challenges, manage their disease, become arthritis experts, and reach life goals. Debbie is truly valued and loved by peers, patients, and families. She is part of the planning and volunteer medical team for Camp KODA as well as a phenomenal supporter of the Arthritis Foundation. Additionally, she provides education on JIA to nurse practitioner students to help increase community knowledge and awareness. Debbie is a wife and mother of 2 amazing boys. We are very lucky to be honoring her as our Medical Honoree for the 2019 Walk to Cure Arthritis. Join Debbie in the fight against arthritis, register or donate today! George Severson is the Director of Local Programming and Creative Services at ABC4 Utah and Utah’s CW30. As an arthritis warrior, he has been a supporter of the Arthritis Foundation for a number of years and has attended the Walk to Cure Arthritis, the Jingle Bell Run, and the annual gala dinners. He has a robust philanthropic life – dedicating hundreds of volunteer and support hours to local nonprofits and charities that are near and dear to his heart. Join George in the fight against arthritis, register or donate today! Bailey Christensen was diagnosed with polyarticular juvenile idiopathic arthritis when she was three years old. What started out as a swollen knee and a precautionary visit to the doctor turned into an unexpected diagnosis and a lifelong fight against a chronic autoimmune disease. Bailey started middle school this year and is thriving while facing relentless pain, a multitude of doctor’s visits and treatment, missed school and social activities, limited mobility, and the desire to be a normal kid without the limitations. 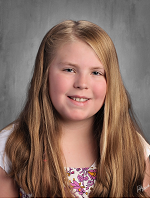 Bailey loves to play outside, ride her bike, dance, swim, hang out with her friends, be active in her youth church group, and read everything she can get her hands on. Despite Bailey’s daily challenges she is one tough cookie. She rarely complains or backs down from a challenge. She has a positive attitude and doesn’t let Arthritis define her. Join Bailey in her fight against arthritis, register or donate today!